Could an ALS drug can be repurposed to fight Alzheimer's? A new nationwide clinical trial is currently recruiting people with Alzheimer’s disease to see if a new drug can halt or slow down memory loss and other symptoms. The trial, called “T2 Protect AD,” involves 48 weeks of treatment and monitoring. Subjects will receive either a placebo or a drug called troriluzole, which has been shown to slow down the rate at which brain cells die off, according to WGME — and if it’s successful, the trial could chart a new course for dementia treatment. Riluzole, the active ingredient of troriluzole and other similar drugs, is a neuroprotectant — it alters chemical pathways in the brain to prevent the buildup of glutamate, a neurotransmitter that’s been implicated in the cellular dysfunction associated with neurodegenerative diseases. It’s been available as a treatment for amyotophic lateral sclerosis (ALS) since 1995, according to WGME. But a new version of the drug, developed by Biohaven Pharmaceuticals, just received FDA approval as a new treatment mechanism for ALS. There’s good reason to suspect that troriluzole may benefit people with Alzheimer’s in a similar way to how it’s used to treat ALS, as the mechanisms of cellular breakdown by the two diseases share similarities. 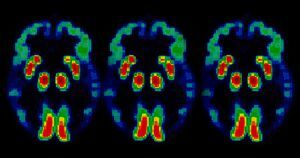 While a great deal of Alzheimer’s research focuses on detection and prevention, T2 Protect AD may instead help doctors develop a new treatment — the findings of the study could give people a new way to manage and lessen their Alzheimer’s symptoms, even if they can’t be reversed.